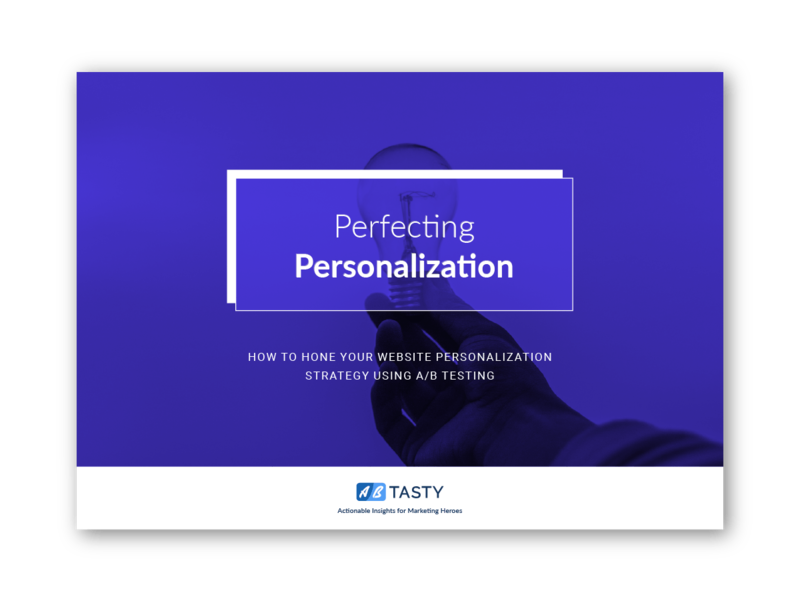 Marketers already know the UX and conversion rate benefits of A/B testing - but did you know it can be just as handy for optimizing your website personalization campaigns? Check out our latest (agnostic) ebook for insider tips, industry stats, internal how-to guides and client examples about creating effective personalized experiences for your website visitors. Whether you’re already using an A/B testing or personalization tool, or still shopping around, this ebook will get you up to speed on how to create an effective A/B testing <--> Personalization feedback loop. "98% of marketers surveyed in Econsultancy’s 2017 Conversion Rate Optimization report said that website personalization was either a ‘highly valuable’ or ‘quite valuable’ method for improving conversion rates."